Ponds bring the bounty of nature to your landscape, adding visual appeal, soothing elegance and value to your property. 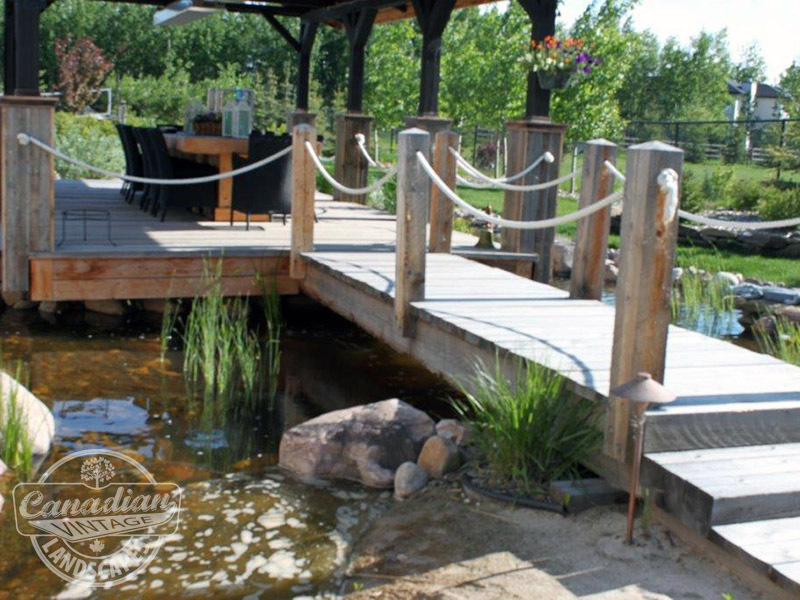 Add a zen like element to your next outdoor project with the refinement of a custom pond from Canadian Vintage. Develop a living piece of art that will set the tone for your landscape. 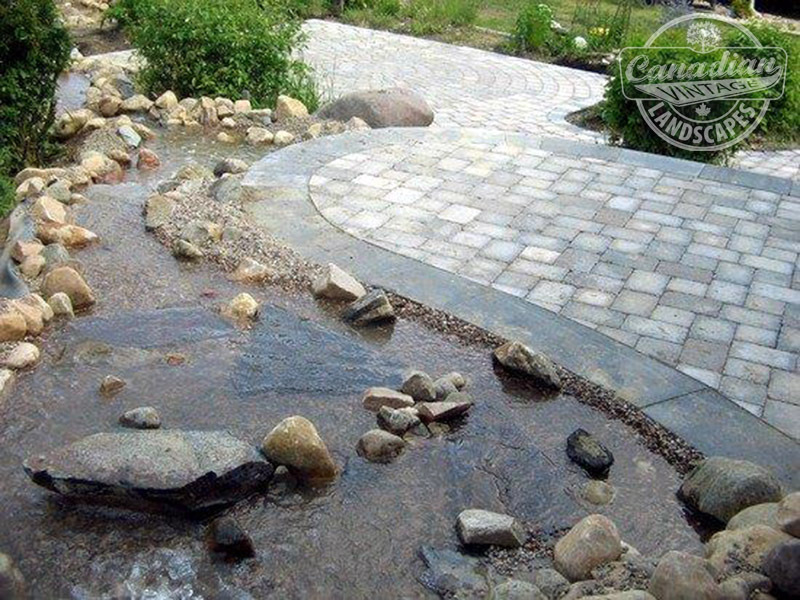 Water features incorporated in your landscape serve as beautiful, natural places to escape from the stress of the world. 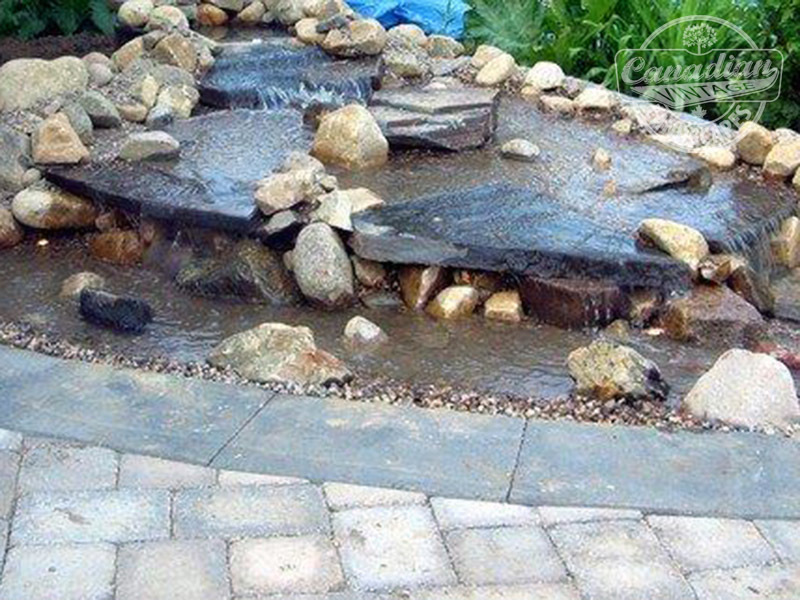 A pond, or water feature, creates a natural place of tranquility and ease. It’s a place to regroup your thoughts, relax, and centre yourself so that the rest of life more becomes more meaningful, and enjoyable. 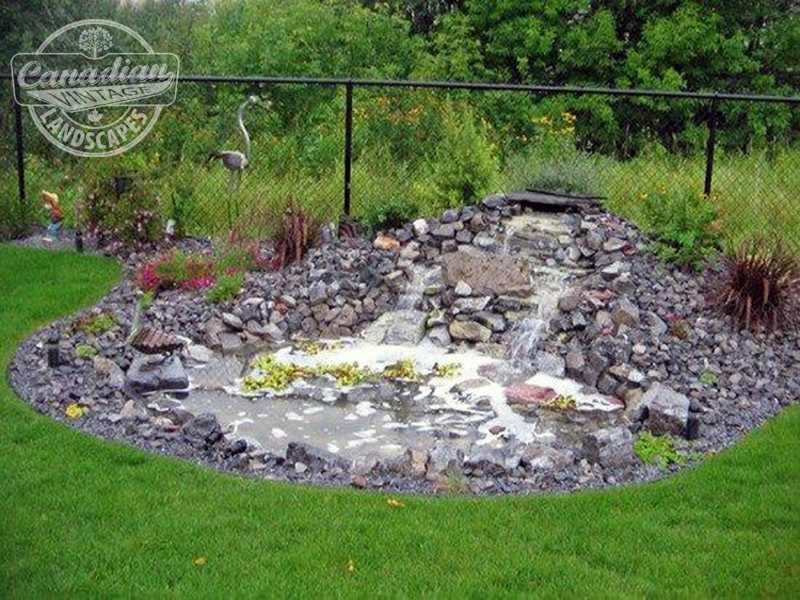 It’s no wonder water features have become a popular trend in landscaping throughout Canada. 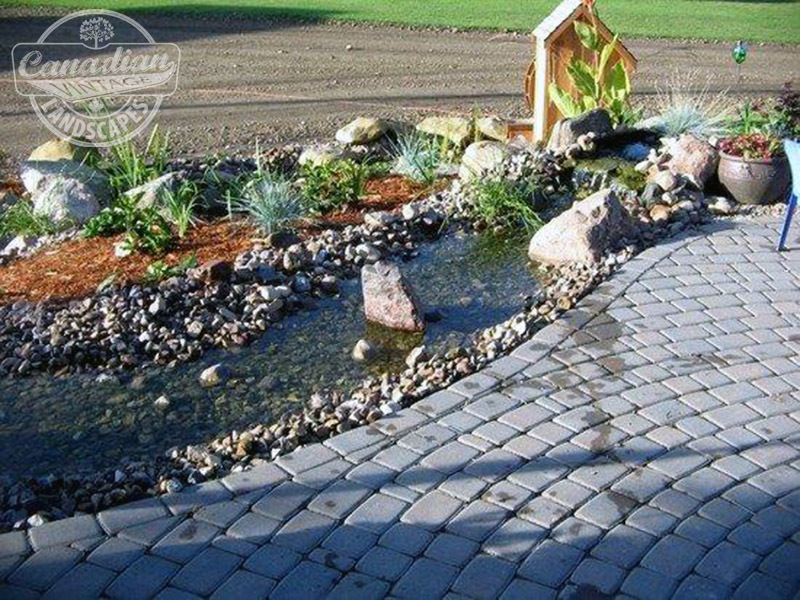 Ponds and Water Features are environmentally friendly and can be installed anywhere similar to traditional landscaping. 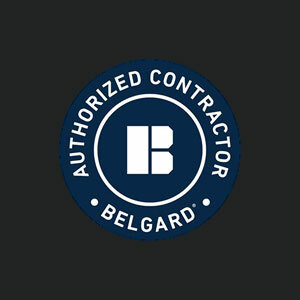 They are completely customizable to meet the unique requirements of any and all commercial projects. Additionally, like other types of landscaping — ponds and water features mature with age, which increases the value of your property more than any other type of improvement or renovation. Nothing says classical elegance more than adding the soothing element of water into a commercial environment. 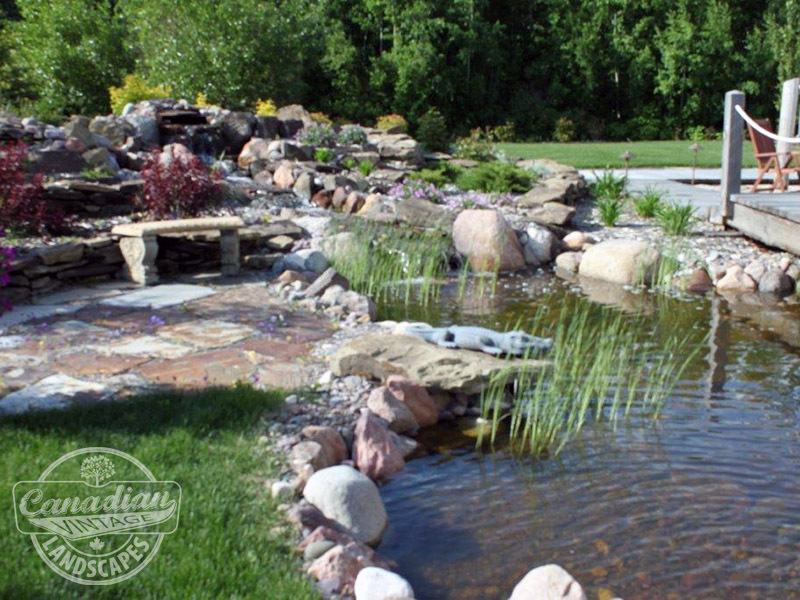 Turn your landscape into a paradise of relaxing serenity with the addition of a custom pond or water feature from Canadian Vintage Landscapes. The perfect choice for both home and commercial settings.